There is nothing that captures the essence of Fijian culture better than the ‘sevusevu’. Many guides will give you a brief overview of this important ceremony, describing it as ‘a lot of talking, a little shouting, and many claps at seemingly random times’ to quote one particularly offensive guide that shall remain nameless! We however, feel that you should be fully aware of the significance of what is going on around you, and will attempt to give you a more detailed understanding so that you are able to thoroughly enjoy this experience! 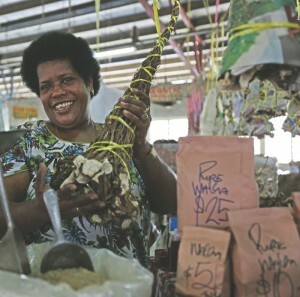 There is perhaps nothing that captures the essence of Fijian culture better than the ‘sevusevu’. It is the central component of all life-cycle rituals, social gatherings, healing ceremonies and community meetings. Significant and ancient in Fiji, the “sevusevu” also marks the time and place for visitors (you) to seek acceptance into a Fijian village. A half kilo bundle of waka is the appropriate (and required – you should never show up in a village without it!) offering, and this should cost you in the region of FJ$25. When you arrive at a village, you should ask for the ‘Turaga ni Koro’ (pronounced too-ranga nee koro) who is the appointed village headman. It is his duty to greet you and ascertain your intentions before presenting you and your gift to his chiefs and village elder. Everyone participating in the ceremony should be dressed accordingly in a sulu. Women are also expected to have their shoulders covered and everything should be removed from your head (for example, hat, sunglasses). A small chant performed by the Turaga ni Koro at the door step of either a house or village hall signals your presence and intention to the people waiting inside. A reciprocal chant from those inside invites you to enter. You will be shown where to sit on the woven mat (remember to remove your shoes). Men should sit cross-legged (ensuring the sulu covers your knees) while women sit with knees and feet together, resting on the floor to whichever side is most comfortable. Silence at this point is the key. The Turaga ni Koro will approach the Chief on his knees to place your bundle of yaqona in front of him, staying low as he does so. He will cobo three times, which in Fijian culture means, “I am about to speak, thank you for listening while I do”. More commonly, you will be met with a group of smiling friends who still retain much tradition but with a more relaxed approach. A sulu is tied casually around the days outfit of shorts and t-shirt, kava is strained through a cloth and rain water is poured into the mix from a bucket! It is inappropriate to take photographs or video footage throughout the ceremony (the Turaga ni Koro will usually indicate the appropriate time for you to start snapping once all the formalities are out the way). He will then begin reciting the traditional monologue, which differs slightly throughout Fiji, but essentially means the same thing. This will end with a chant, coupled with three more cobos that indicate they have completed their introduction. The Chiefs ‘herald’ – or second in command, will officially accept the yaqona on behalf of the chief with three cobos to announce the beginning and end of his speech. A mullet is a fish that leaps out of the sea in order to escape a net, so it often flies beside or over the heads of people holding the net. To pass close to or above someone’s head is a sign of great disrespect in Fijian culture, so this expression means “to show no respect at all”. In a formal yaqona ceremony, authority is given by the village spokesman to begin mixing the yaqona. In a ceremonial setting, every movement involving the mixing is significant. In the old days, the dried roots were cut into small pieces and chewed to soften them, before being added to the tanoa with water. These days fortunately, chewing has become unnecessary, with the pieces now pounded to a fine powder form before being mixed with water and filtered through a silk cloth, or for more formal situations, through hibiscus fibres. 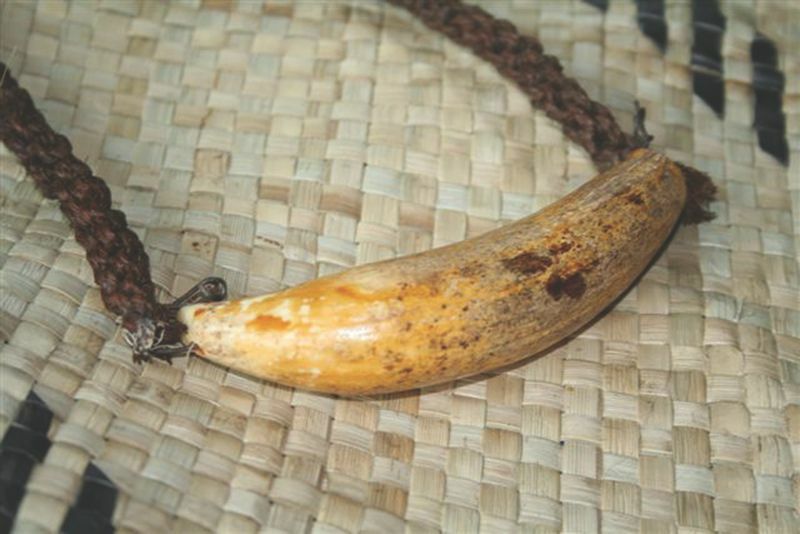 When the yaqona has been prepared, and the consistency approved by the chief’s spokesman, the ‘mixer’ puts his hands together and circles the Tanoa with his hands, saying “With respect to the chiefs, yaqona is ready to drink”. Then he cups his hands, cobo three times and begins to serve the yaqona in a Bilo. This will be carefully taken to the chief in his own, personal bilo. The chief will receive your offering by cupping his hands and clapping with a deep, dignified sound. As he is drinking everyone will clap in slow time, and when he is finished the herald will exclaim “Maca” (which means ‘empty’, and everybody present should cobo three times. The same will be repeated for the herald, but all will cobo only twice when he is finished. For a time this process will be repeated until the tanoa is empty, at which point the mixer announces “the bowl is empty my chief’, and everyone cobos. The mixer then runs both hands around the bowl and cobos three times which terminates the formal part of the ceremony. 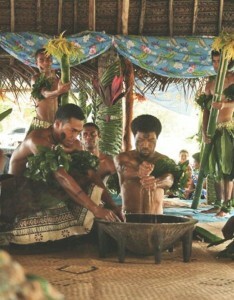 A second tanoa is then prepared from which everyone will drink. A server will carry a bilo to the chief guest (you), who must cobo once before and three times after completely drinking the first cup. The order of serving depends on the status of those present, from the highest-ranking, down (sorry ladies, but women will usually go last in this patriarchal society!). After the first ‘round’ is complete and everyone has drunk, the ceremony relaxes and the drinking session will continue along with the telling of many stories. You are likely to be asked to introduce yourself and talanoa about your travels. 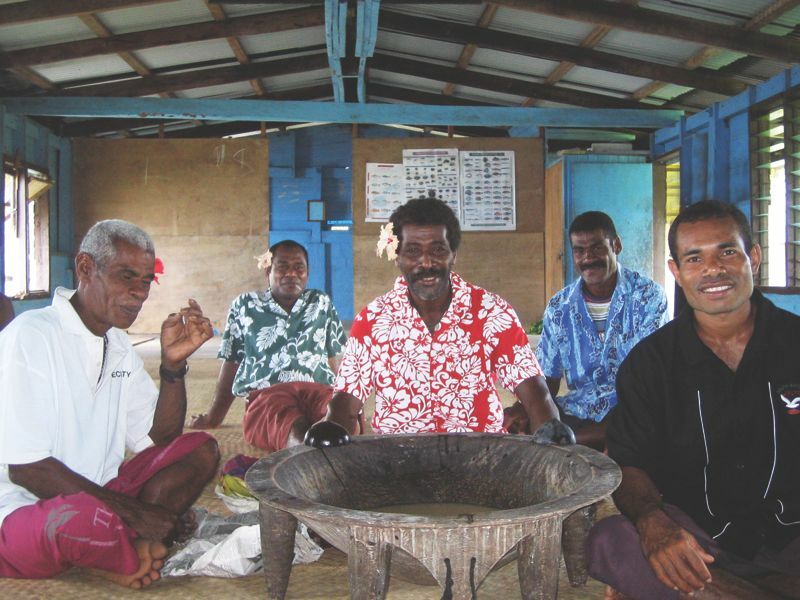 Remember that this is just a guide, and that kava ceremonies can vary from one village to the next, with each maintaining their own unique features of an ageold tradition. There is another world of social ‘grog’ drinking among younger people or in more urbanized areas. These sessions will usually see you drinking yaqona out if a brightly coloured plastic tea cup, from a laundry bucket! But…. we won’t go into that as we figure, if you have been invited to one of those, you can handle yourself! 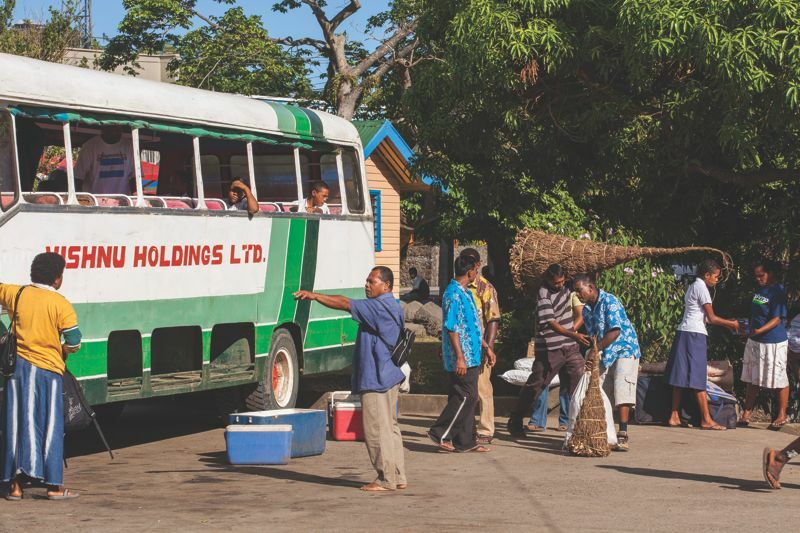 While officially an island of our country, Rotuma’s culture is more Polynesian and the sevusevu is not a protocol that is followed there, see here for what to do in Rotuma. (Piper methysticum) Latin for ‘intoxicating pepper’ is a crop of the western Pacific, the roots of which are used to produce a drink with mild sedative and anesthetic properties. Yaqona (yang gona) is the name for kava in Fiji. In your travels, you may have heard it referred to as ‘awa (Hawai’i), ava (Samoa) , and sakau (Pohnpei). Waka comes from the lower part of the plant and the kava is up higher. Waka is more potent than kava, and is also a little bit darker in colour. A traditional hand crafted from a single slab of wood (usually vesi – an indigenous hardwood) bowl in which yaqona is prepared and shared from during the ceremony. 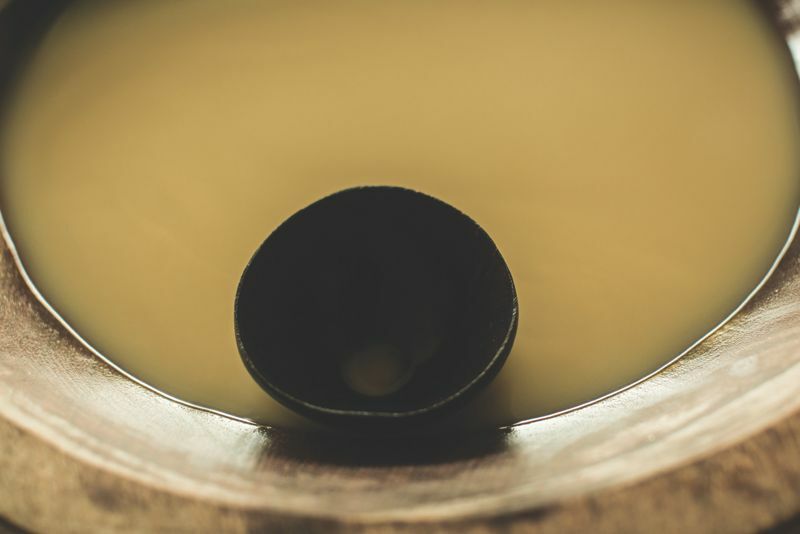 a drinking bowl that is made from the half-shell of a coconut. These are highly polished and sleek. Chiefs generally have their own cups from which no one else is allowed to drink. Everyone else drinks from a common cup. Some say this cements communal bonds. Similar to a sarong, is a wrap around (wrapped around the waist so you are covered from waist to ankle) piece of rectangular material elaborately decorated with patterns and designs of various styles. Usually reserved for more casual and informal occasions, you should have one to hand to wrap over your shorts for such events. (thombo) – literally means ‘clap!’ But we are not talking a cricket match polite kind of clap, we are talking about a loud, deep and deliberate cupped hand clap. The exchange of stories, discussions etc. In more formal settings, you will witness the complete performance where each male from the village has a specific role to play. Traditional attire is worn with pride, collected rain water is poured from bamboo shafts, pounded kava is strained through hibiscus bark and each bilo is delivered deliberately and seriously in absolute silence (aside from the sound of deep ‘Cobo’ claps in acceptance and thanks of each ‘bilo’).